You read the title right. From my lips to God’s ears. 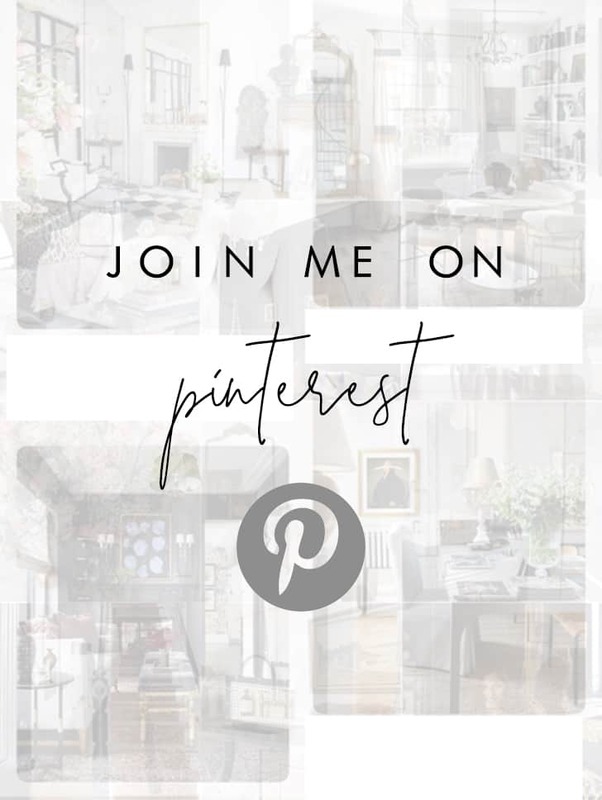 I’ve been a die-hard Home Good-er since day 1 of this blog and my older posts were all about how I thrive off my next Home Goods find. I’ll walk in, take a lap, maybe find a thing or two I like and try to imagine where it would go in the house, and then…I’ll take another lap. Just to be sure I didn’t miss anything. I end up walking out with things I don’t need because…well…I’m there. And it requires little to no creative energy to just walk into Home Goods, find something I like (in the moment), pay the $19.99 and walk out feeling instantly gratified. There’s nothing wrong with doing that, but I have a new found love with something so powerful, it’s taken the place of Home Goods. Alright Alisa, so if you moved out of Home Goods, where have you relocated to? I’m a little late to the trend train (if you would even call thrifting a trend), but after recently frequenting a ReStore near my house, which is essentially a Goodwill for all things home, I have a new found obsession. 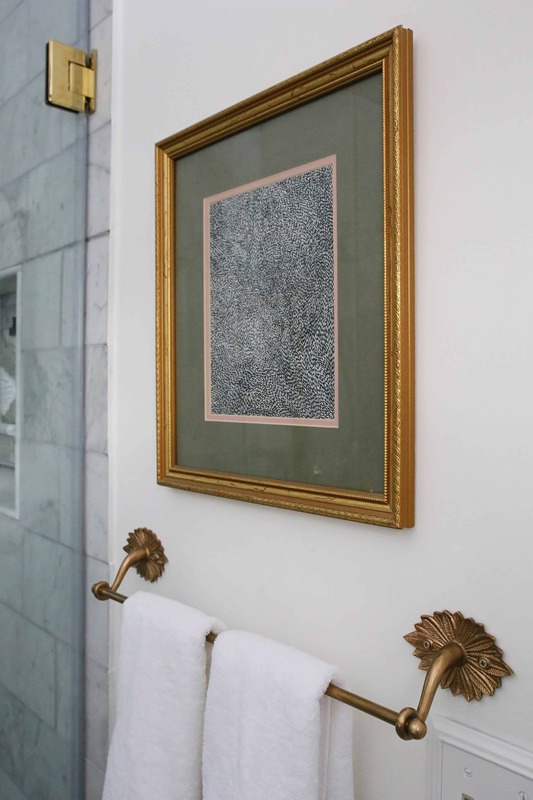 Two vintage gold frames I found at the ReStore for our bathroom renovation. They were only $10 each! When I walk into a thrift/antique store, I see potential. Where my creativity and skill can work hand-in-hand (pun absolutely intended). That’s where I thrive. Not off my next $19.99 ceramic gold vase that I’ve already seen a few times on my IG feed. 99.9999% of the time, a great find at the thrift store is cheaper than anything at Home Goods. 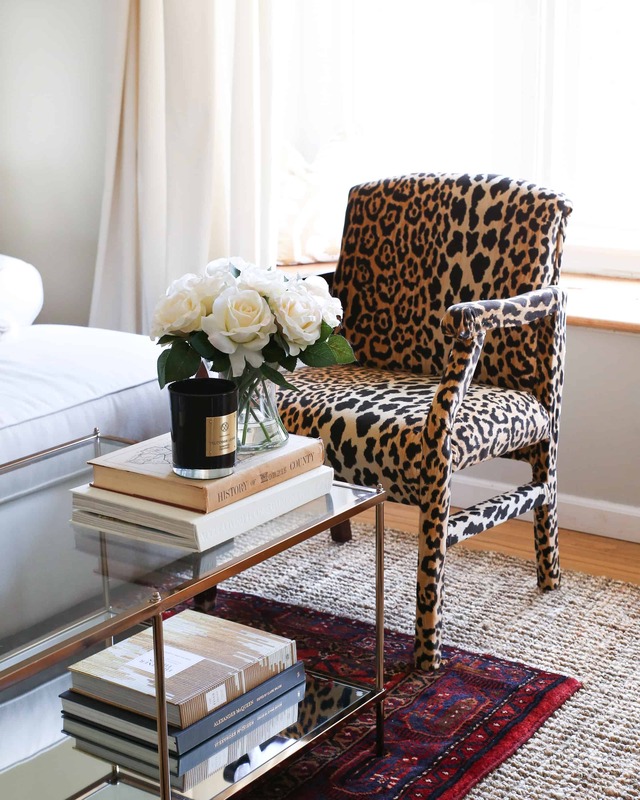 The chairs I purchased for my DIY leopard chair makeover were $25. 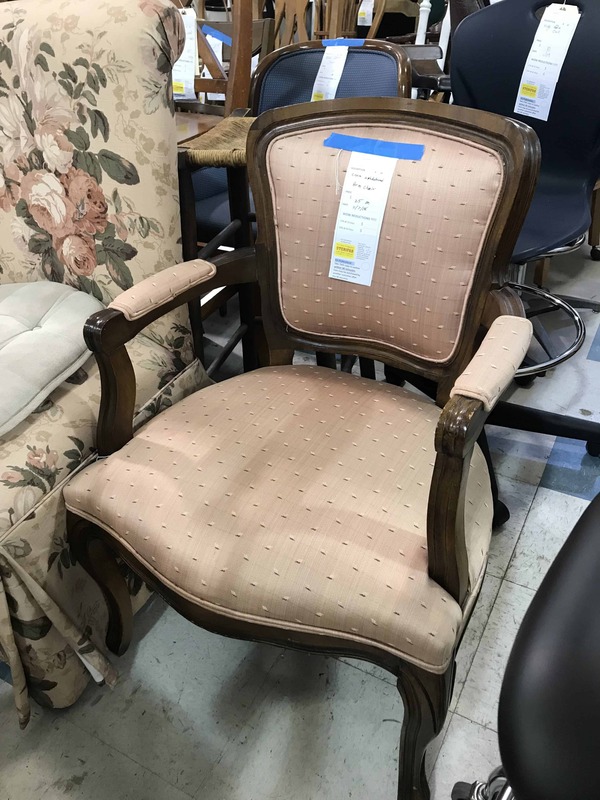 A major online store was selling the same chairs for $1500 each not too long ago. When you thrift you have more money to spend elsewhere and that’s enough for me to hit my local antique shops/ReStore multiple times a week (half exaggerating). When I was a kid, antique portraits always sparked a fascination with me. Now, I’ve grown to love having them in my home and although good portraits are hard to come by, they always makes a fabulous statement. When you thrift, you’re able to achieve a unique look that no one else has because you’re incorporating items that aren’t available at a retail store. Let’s use the Anthropologie Primrose mirror for this example. 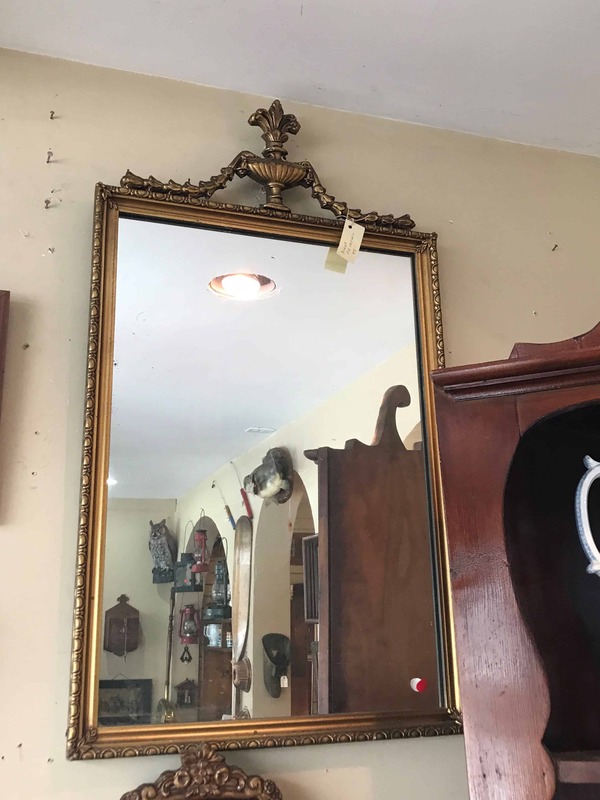 Everyone and their great grandma’s best friend has this mirror. 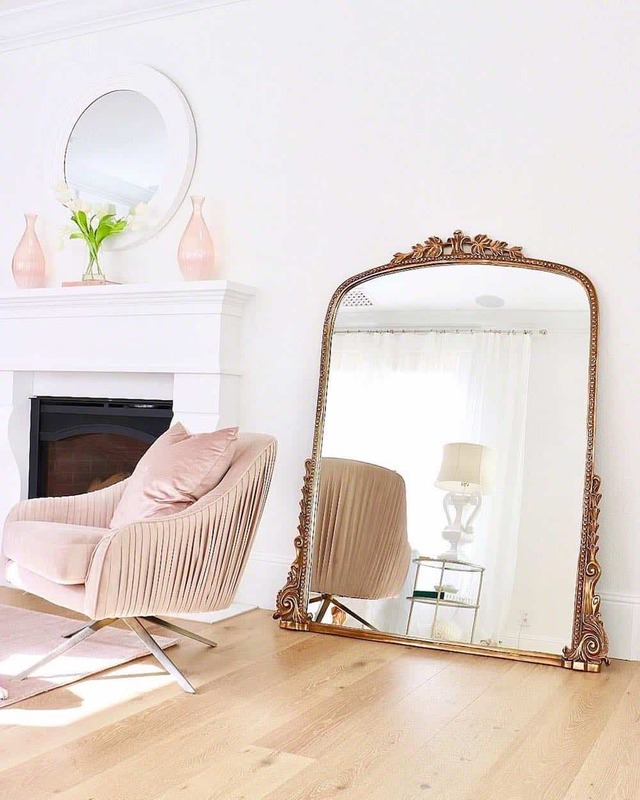 Granted, it’s a stunning mirror, but in the last week alone I’ve stumbled upon a few different antique mirrors that resemble the Primrose mirror and are less than half the price. But more importantly, they’re original – no one else has one. 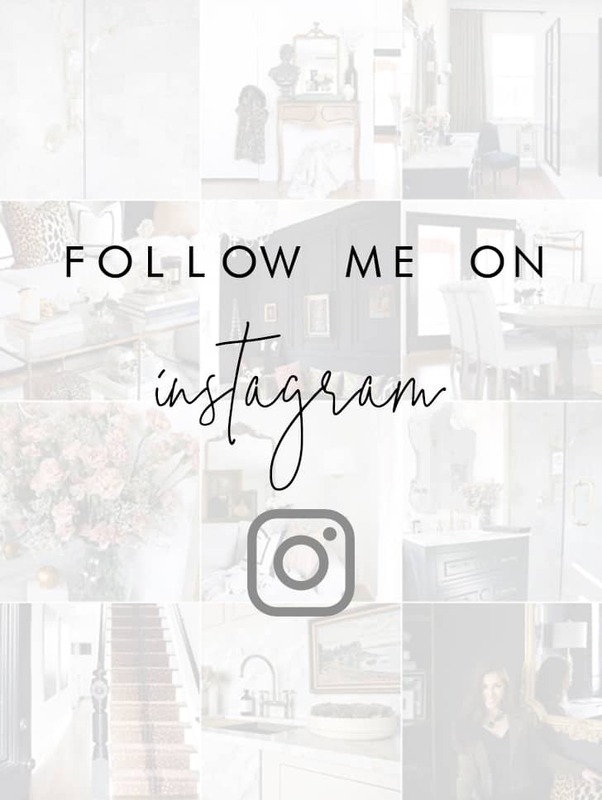 I posted two different photos vintage gold ornate mirrors I found at thrift stores to my IG stories and I don’t think I ever received so many messages about something. I didn’t need them, but as a sucker for all things gold and ornate, I was so tempted to turn around and go snag them. This one was $38. I repeat – thirty.eight.friggen.dollars. SO I went back and bought it a few days later. 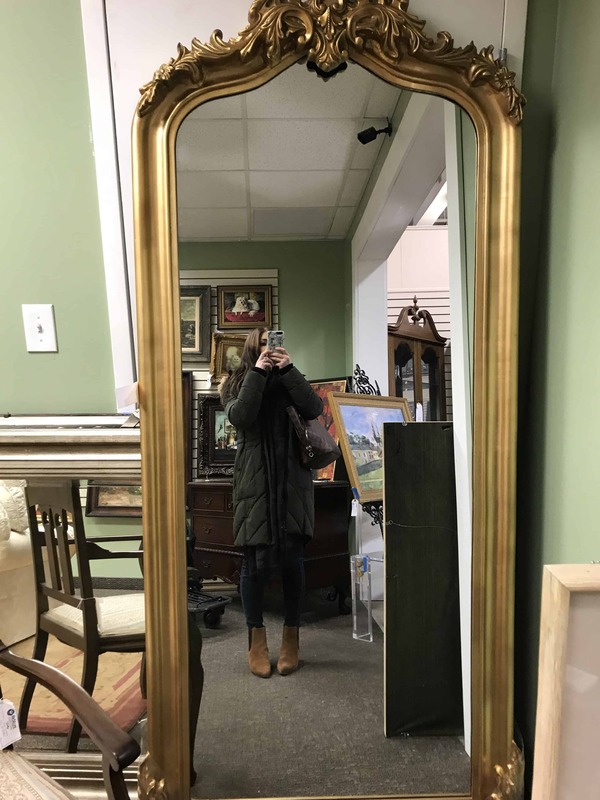 This one was $250 – which I think is a steal for a 7 ft. tall ornate floor mirror. 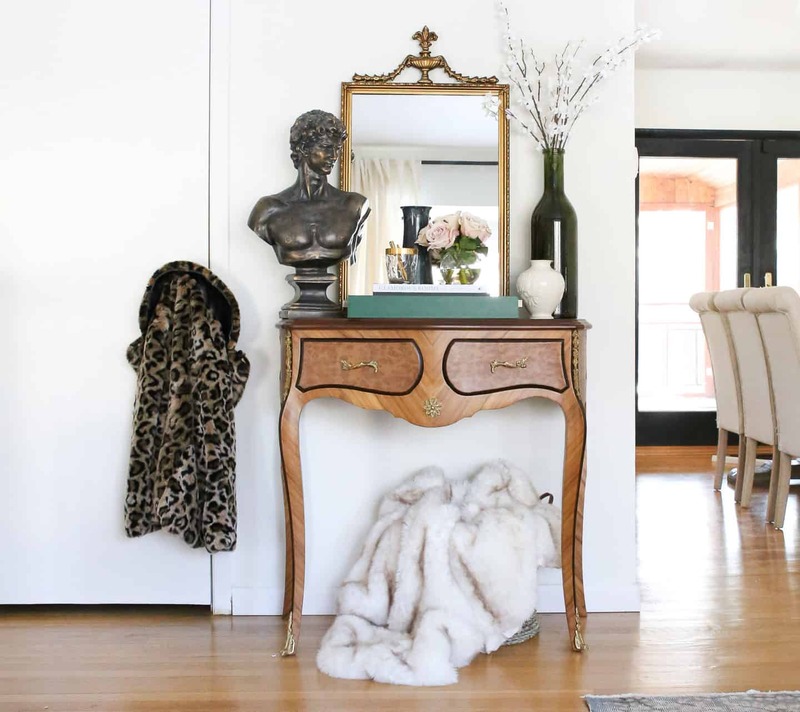 Personal style takes time to develop and thrifting unique items makes your home you. 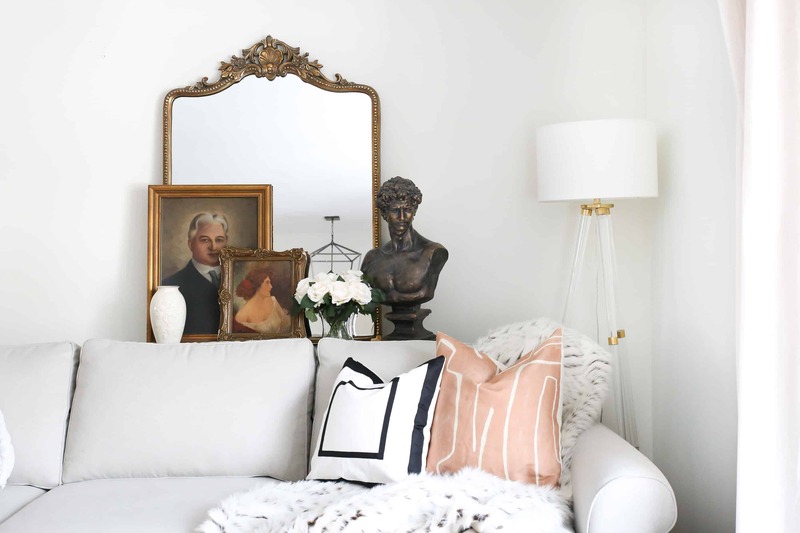 It’s taken me a while to get to where I am now with our home, and I know that my style will only continue to evolve, especially with the pieces I carefully choose to bring home from thrift stores over time. If there’s one single thing that reflects my personal style, it’s leopard. If I weren’t living with a man, I wouldn’t have even though twice about buying this piece. I can’t even talk about how physically challenging it was to leave behind. I considered painting the legs gold and re-upholstering but, one chair at a time. When thrifting, you can either buy something old and make it new, (i.e. 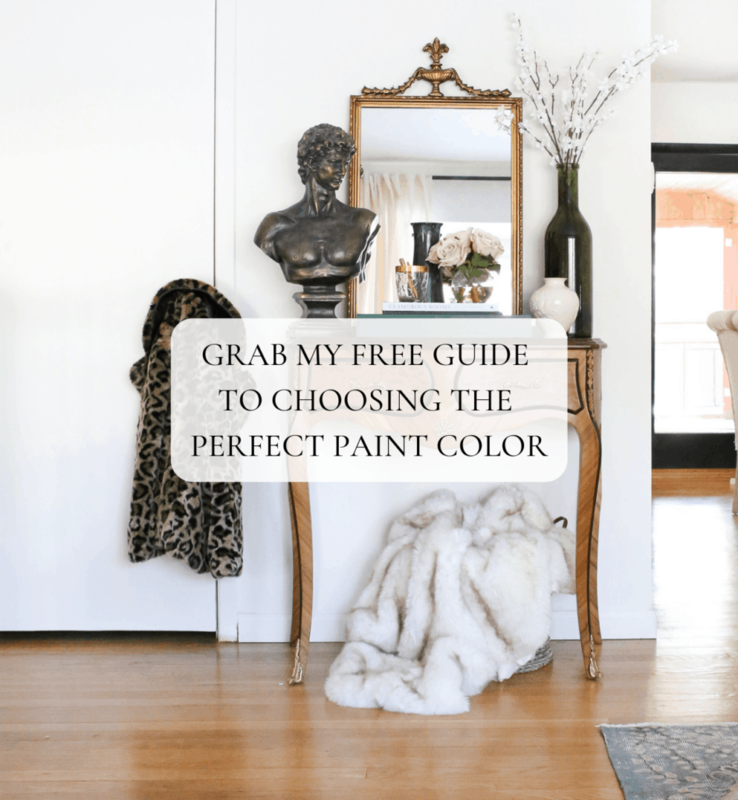 painting a credenza) or leave it in its existing state. 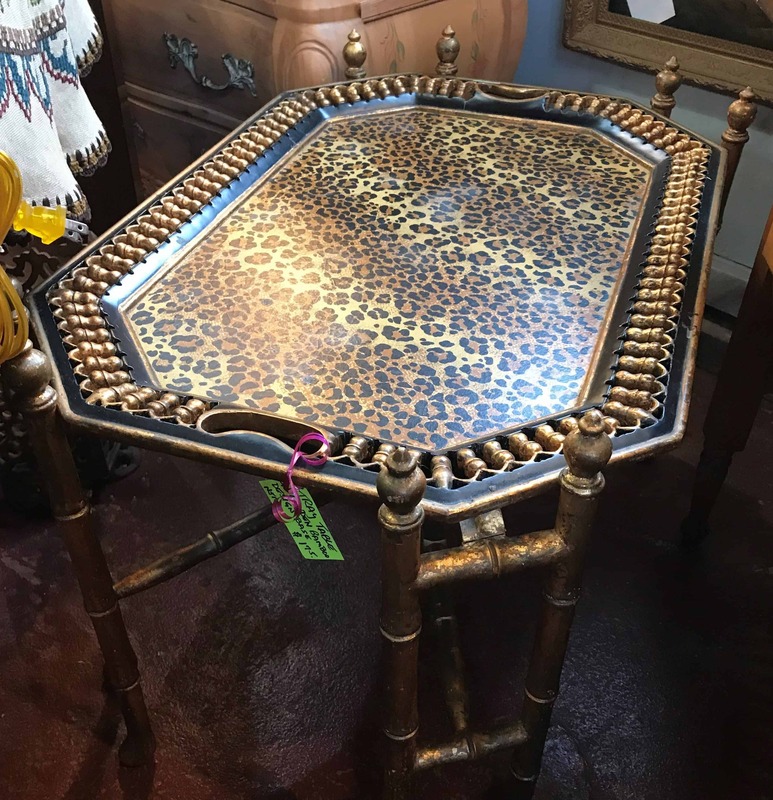 I think some of the best thrift finds are items that look just as good now as they did years ago, like antique brass fixtures and vintage French style tables. But it’s what you do with those finds that makes your home yours. 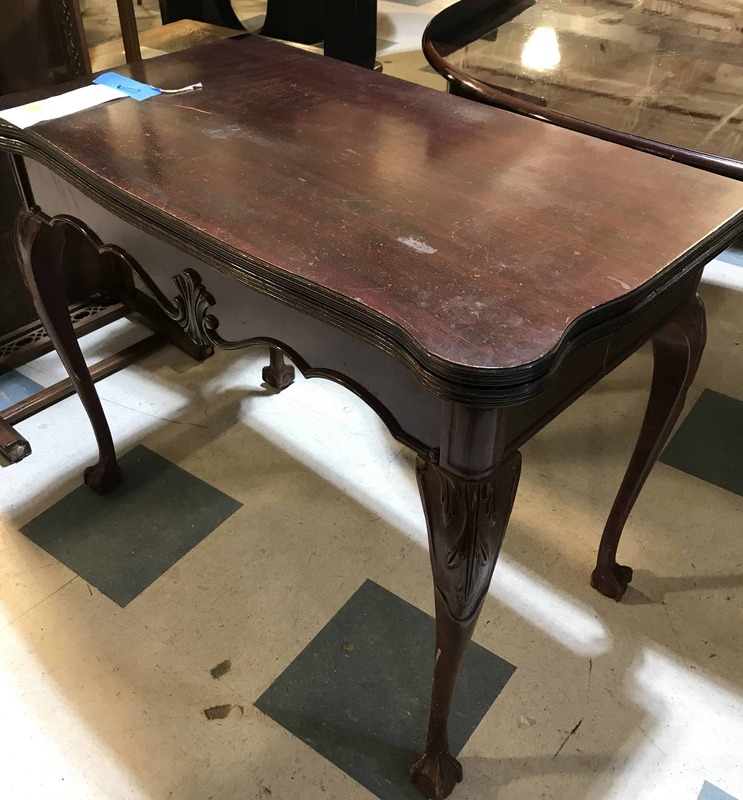 I fell in love with this table and considered painting it, but don’t quite have a place in our home to put it. So I left it behind. Part of thrifting is knowing when to leave something and when you know it will absolutely fit perfectly into your home. A good thrift store find is few and far between, but that makes the thrill of the chase all the more exciting. You never really know what you’re going to find and when you find something you love, it’s like the universe conspired to bring you to that item at that exact moment. 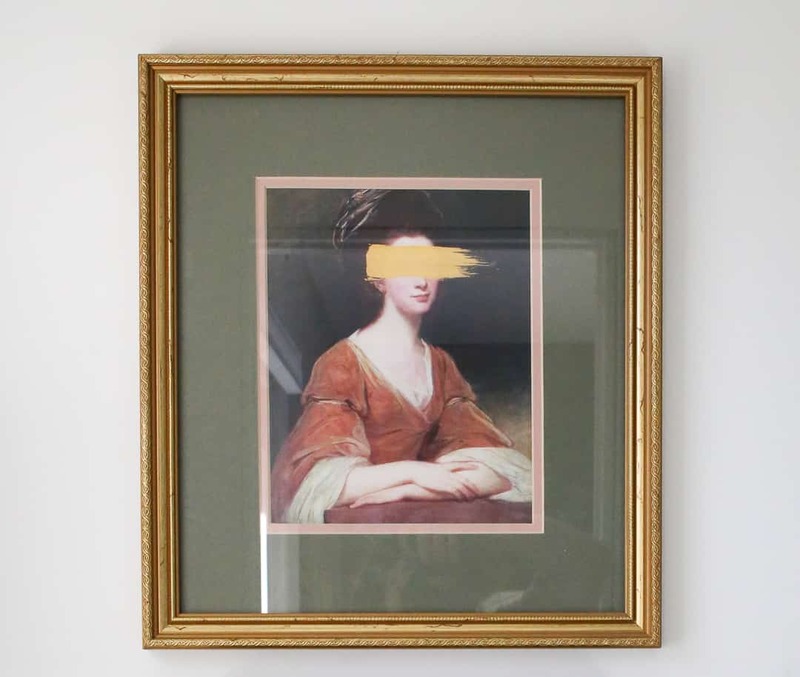 Like it was meant to be in your home (or at least that’s what I tell myself). On the contrary, rarely do you go out looking for something at a thrift store and actually find it. 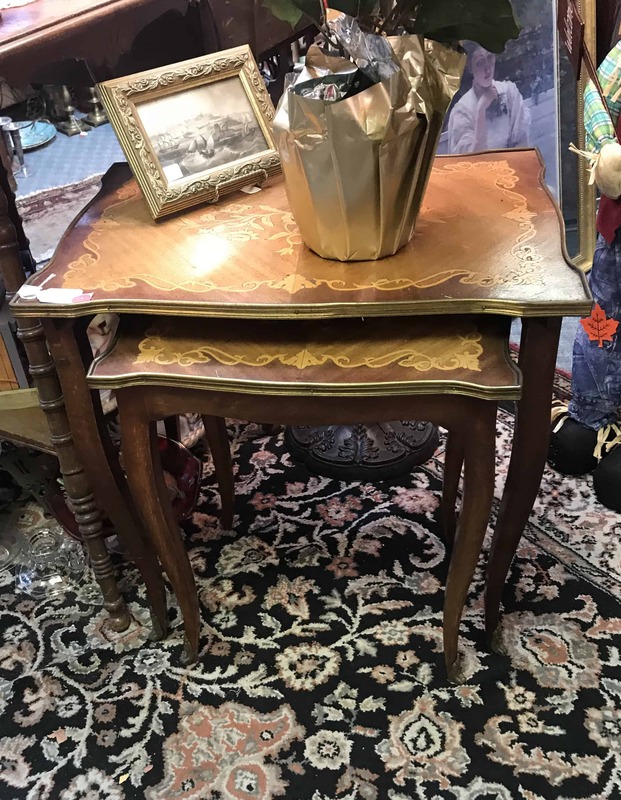 That was not the case with these beautiful french provincial nesting tables with gold edges and an elegantly etched pattern that I was actually on the hunt for and stumbled upon at a local antique store. They were only $65. 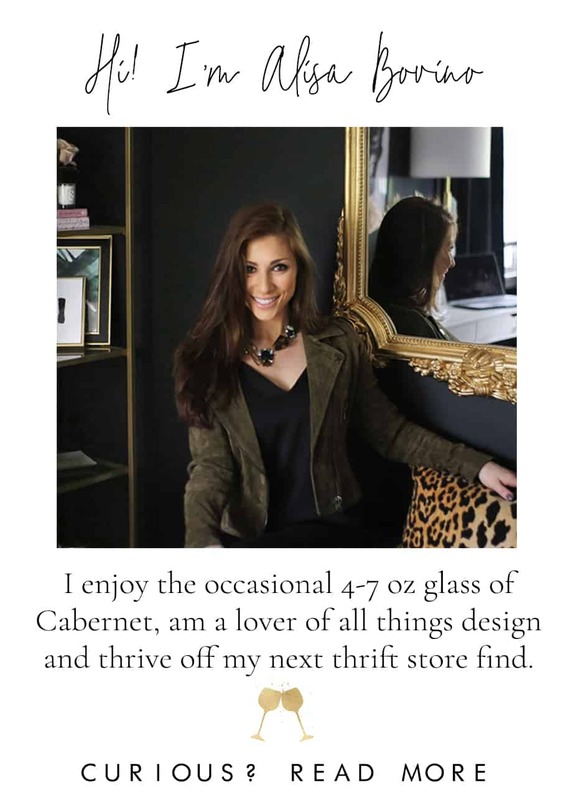 Thrifting sounds amazing. Now, how and where do I thrift? I hope this inspired you to visit your nearest thrift store or even just browse Facebook marketplace to see what beautiful items you can find in your area. Have you ever thrifted and if so, what are your thoughts on thrifting? sorry about that Nikki! 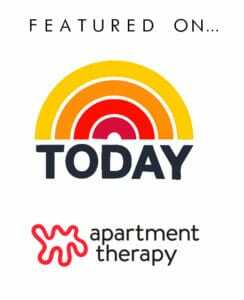 My website needed an update. Hope you can access it now! Ok I’ve been having so much fun reading your blog today – let me tell you! But this post is by far my favorite – and that was a hard decision because I am officially obsessed with all of it. 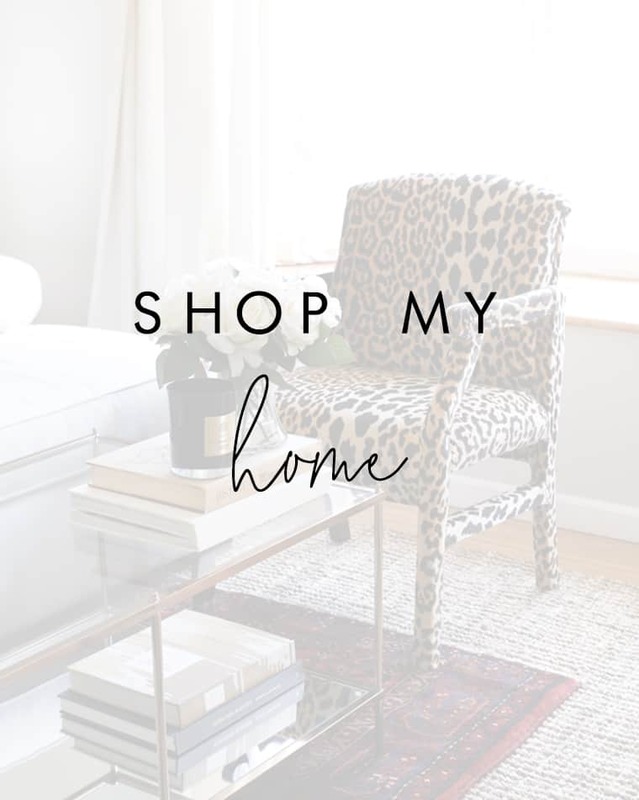 I love to thrift shop, and I agree with you so much on the Home Goods thing – I have so many impulse buys that are now sitting in my basement because I didn’t really love them or they were just a trendy thing that I didn’t actually love. Also, wow those mirrors are amazing! Such a score!